SHETLAND has won its first two medals in the Island Games in Bermuda with a silver and a bronze in the women’s and men’s triathlon. Lynsey Henderson picked up silver in the women’s race on Sunday morning, while Peter Fenwick won bronze in the men’s. Henderson came second to Kerry MacPhee from the western isles, who won despite sporting a cracked rib from a moountain bike accident five weeks ago. Henderson comeing secomnd was “unbeliveable” and that she had never run so hard in her life. While the swimming and the bike riding had gone well, the running in Bermuda’s heat had been tough. The games got off to a sunny start in the Bermuda capital of Hamilton after a lively opening ceremony largely thanks to the Bermuda premier Craig Cannonier, who threw his speech away to deliver a passionate address to the athletes. 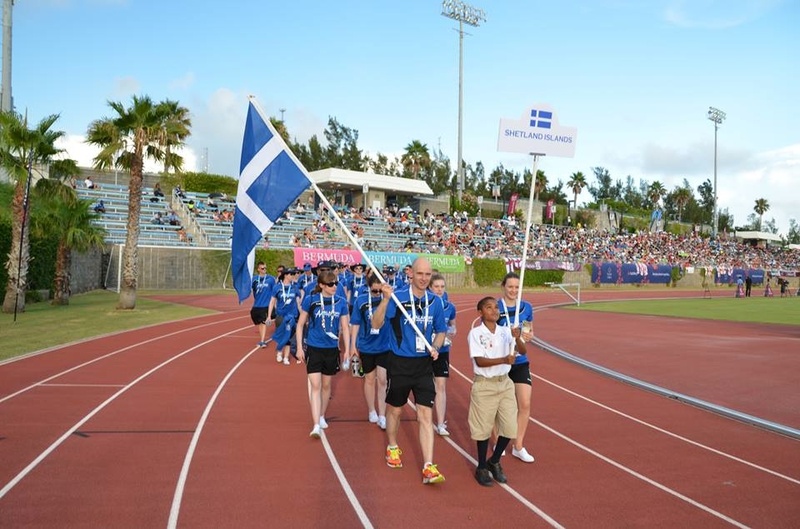 Flag bearer Karl Simpson and water carrier Andrea Strachan led the Shetland team out onto the track at the National Stadium. They were joined by local nine year old Aaron who carried the Shetland team’s banner. 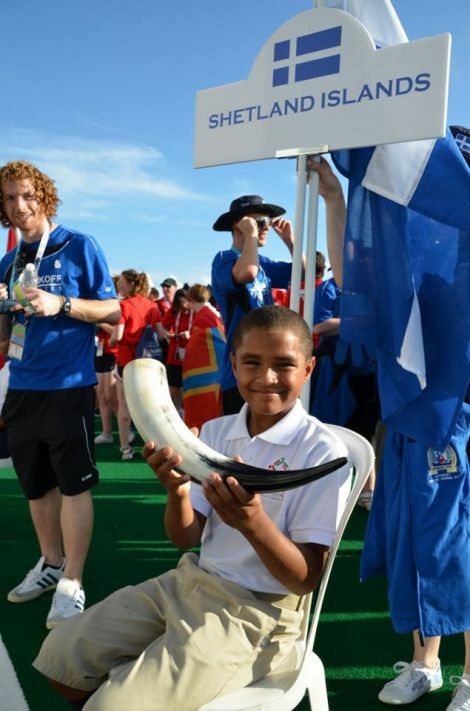 Below you can view the opening ceremony at Bermuda’s National Stadium. The Shetland team can be seen at 12:28 in the video.